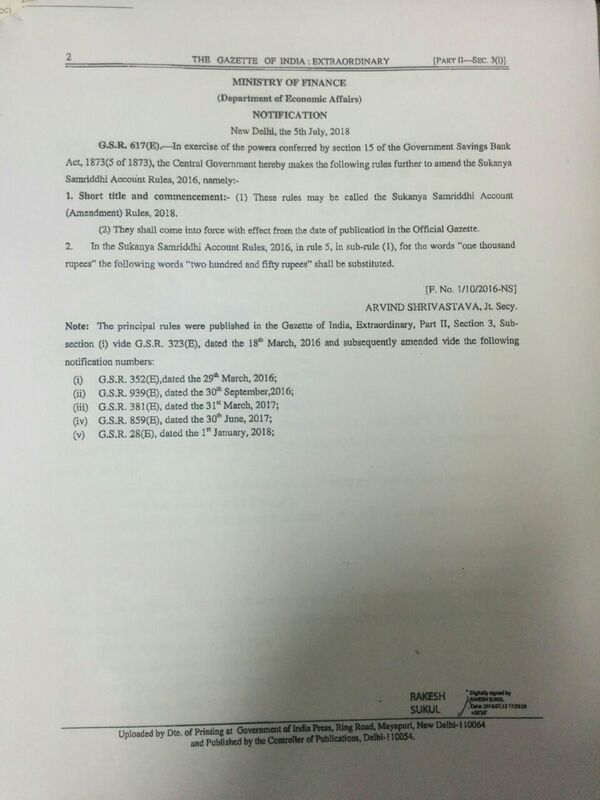 Resolution - accumulations at the credit of subscribers to the GPF and other similar funds w.e.f. 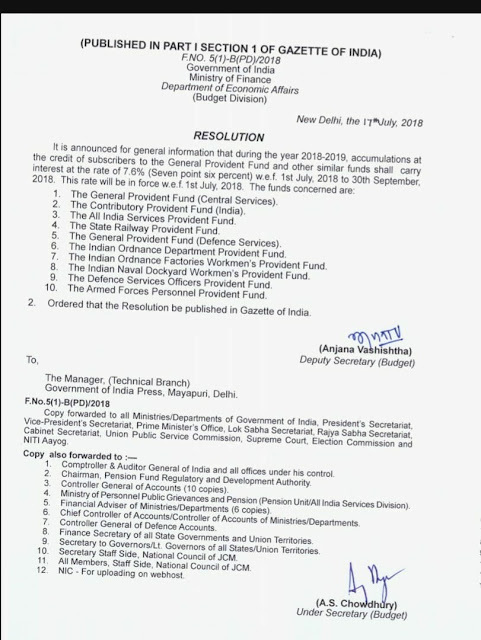 1st July, 2018 to 30th September 2018 : Ministry of Finance. 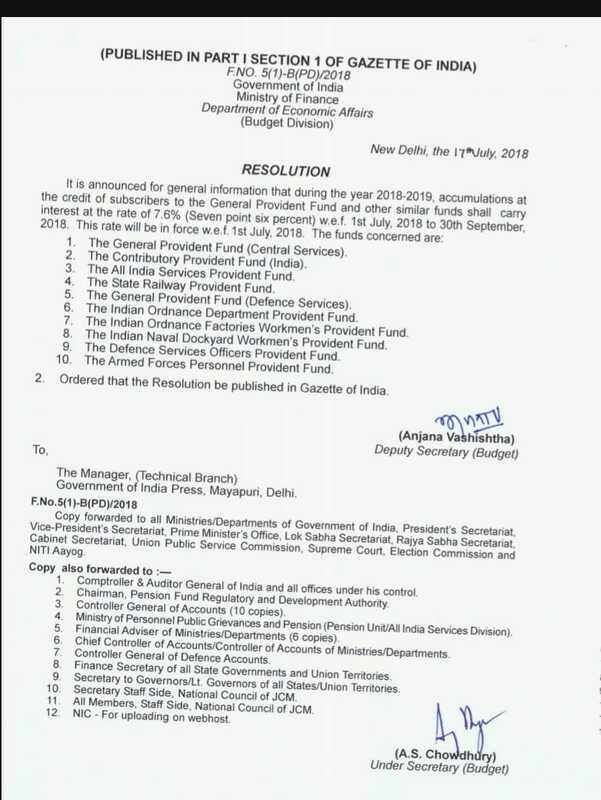 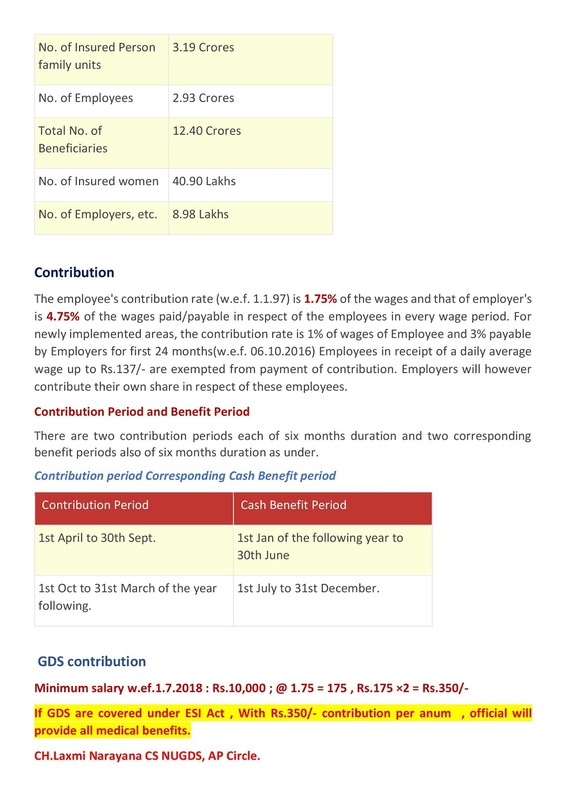 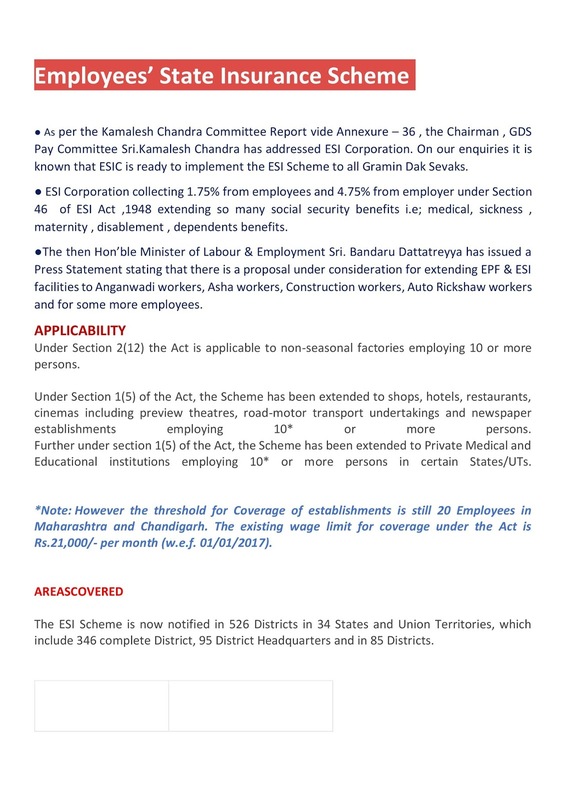 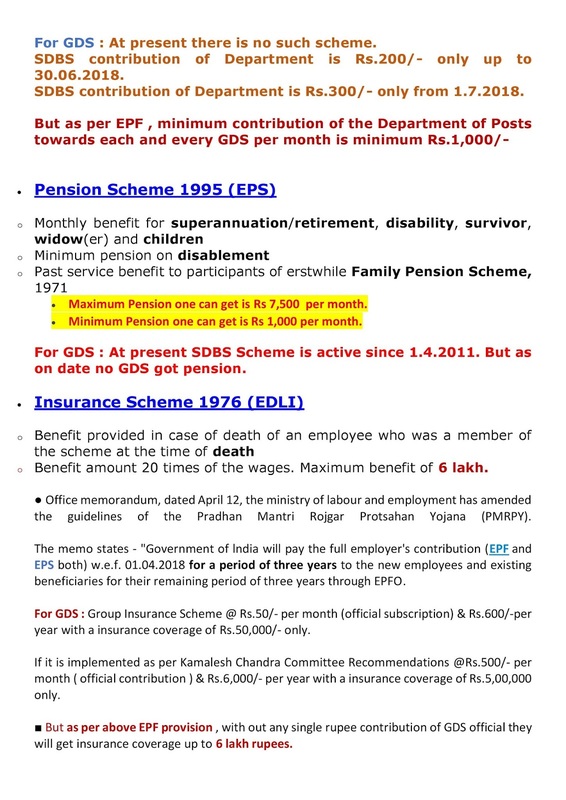 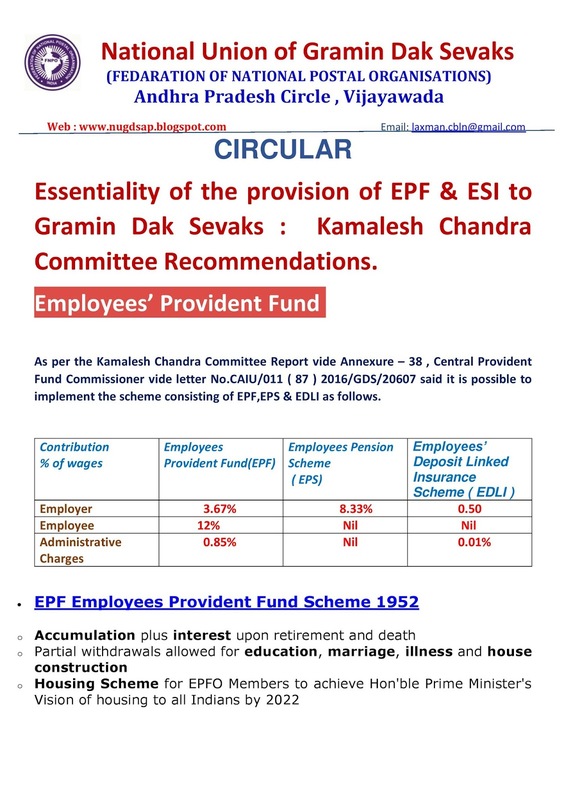 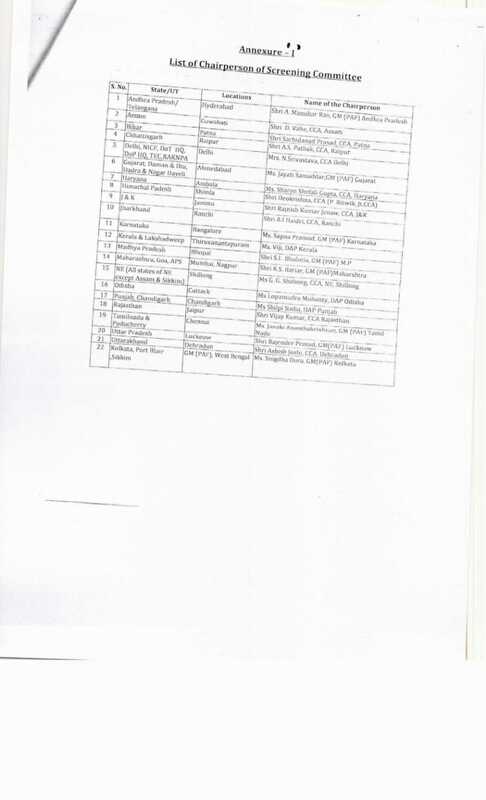 Essentiality of the provisions of EPF & ESI to Gramin Dak Sevaks : NUGDS Circular. 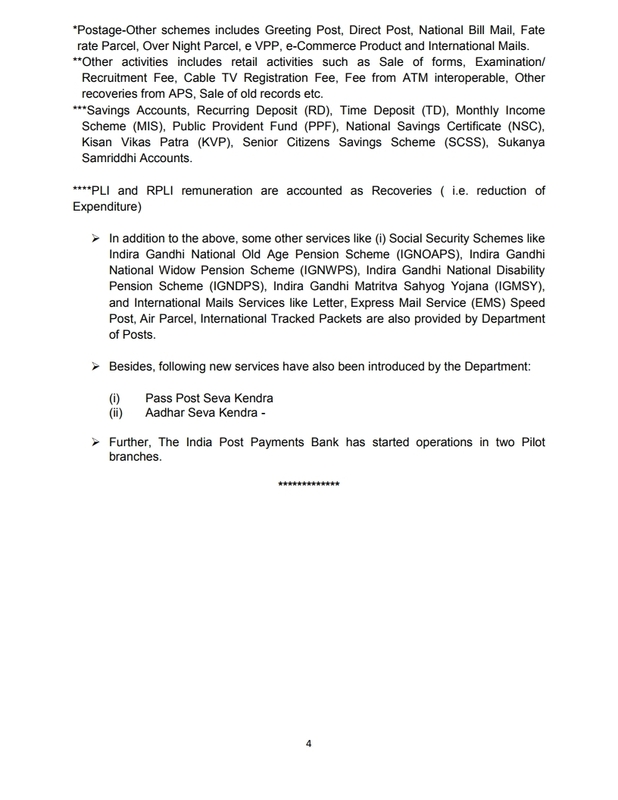 Now Sukanya Samrudhi Account can be opened with a minimum amount of Rs.250/- instead of Rs.1,000/- : Ministry of Finance Gazettee Notification. 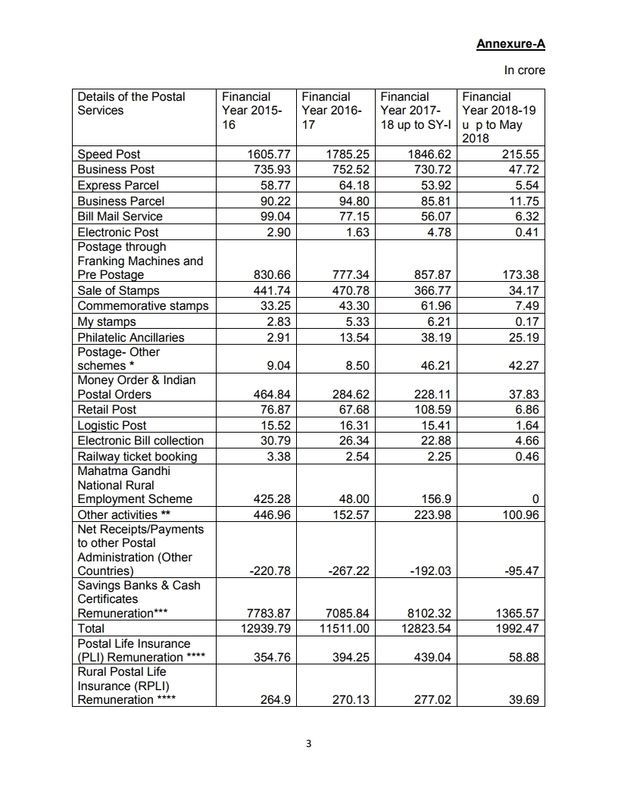 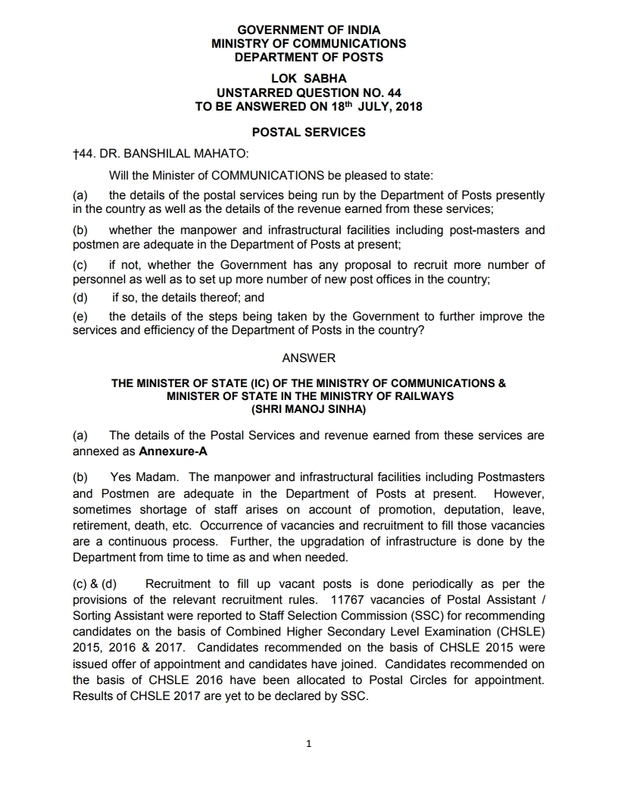 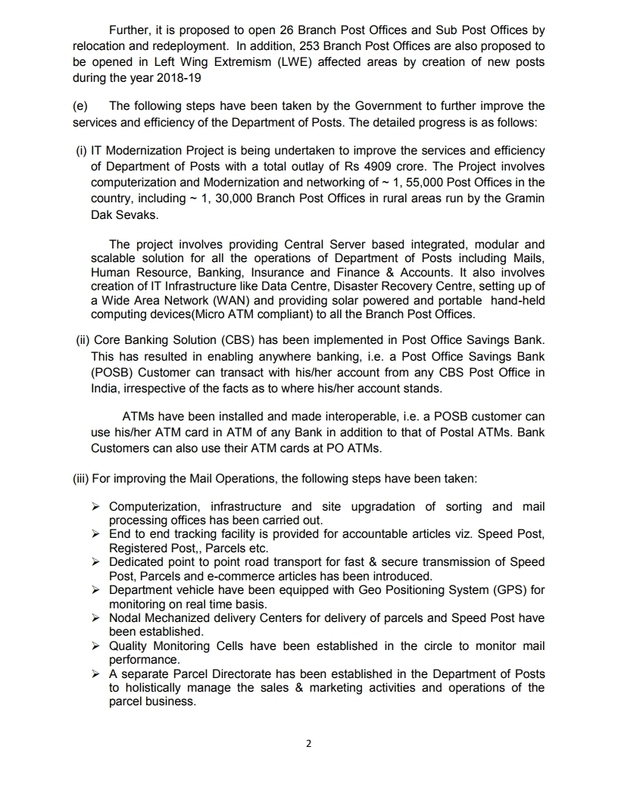 Lok Sabha Unstarred Question on Postal Services : 18 th July 2018. 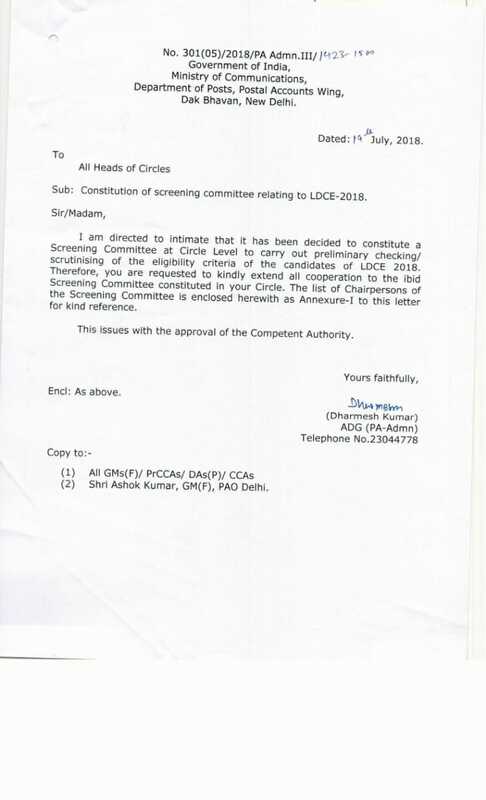 Constitution of screening committee relating to LDCE - 2018 : Department of Posts.